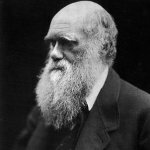 The birthday of Charles Darwin has been celebrated by the scientists for ages, but the idea of making Darwin Day an international observance came up only in the 1990s. Charles Darwin, an English ecologist and naturalist, was born on February 12, 1809. After his death in 1882 numerous organizations started sporadically organize events to celebrate his works and pay tribute to his life. However, the idea to make Darwin Day an annual worldwide observance belongs to two enthusiasts Amanda Chesworth and Robert Stephens. They co-founded an unofficial effort to promote Darwin Day in the late 1990s. Everyone can find information about celebration of Darwin Day and planned events on their website. Darwin Day features various events conducted around the world. They include dinner parties, protests with schools and boards, workshops, symposia, lectures, debates, distribution of information by people in ape costumes, concerts, plays, artwork, poetry readings, exhibitions, educational tours, movie nights etc.